From the film Batman Vs Superman: Dawn of Justice, your favourite superheroes come to life as 20inch action figures. 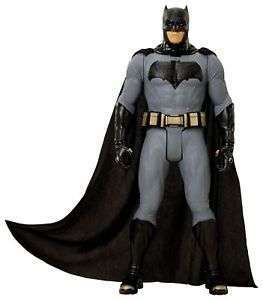 Batman is articulated and has a real fabric cape to recreate all your favourite scenes. Your favourite superheroes come to life. Includes 5-7 points of articulation. Thanks for the upload. Heat added. Bought two for our boys and put away for Christmas! They are brilliant and surprisingly it really does look like Ben Affleck. Thanks op!